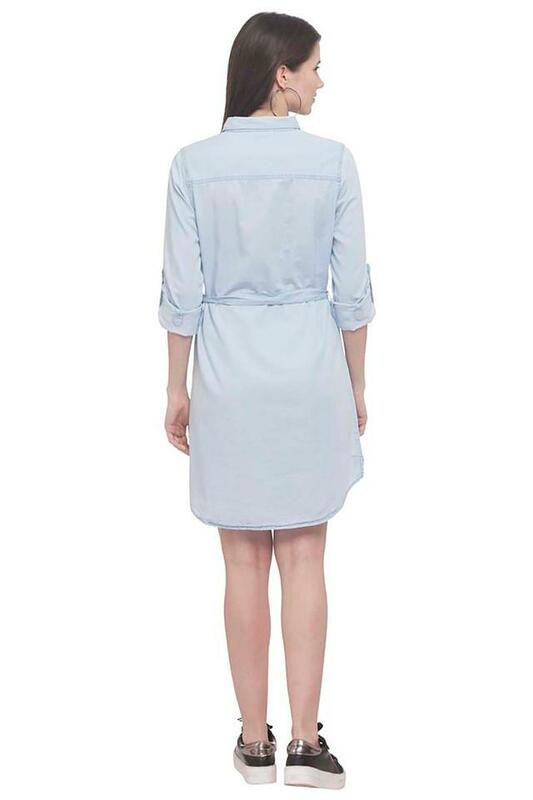 Make your appearance worth noticing by wearing this shirt dress from the house of Life. It has been tailored with care using a premium quality fabric, which will keep you at ease throughout the day. Moreover, it has roll up sleeves and also comes with a collared neck that adds to its design. Featuring an assorted pattern, this shirt dress will be an excellent pick for you to wear for casual outings. Tailored to perfection, it will look good with a pair of heeled sandals and matching accessories.